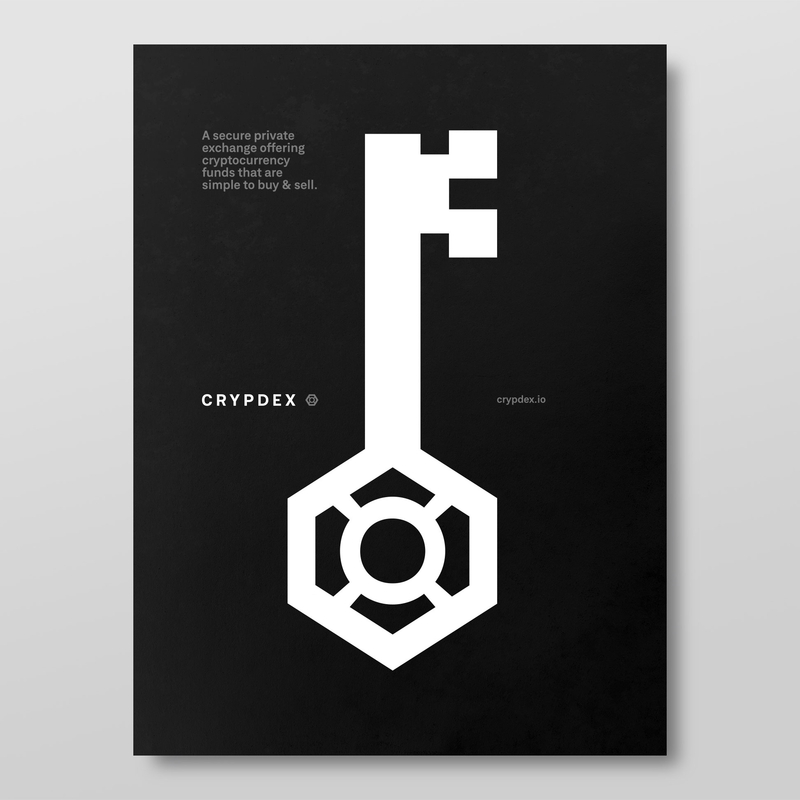 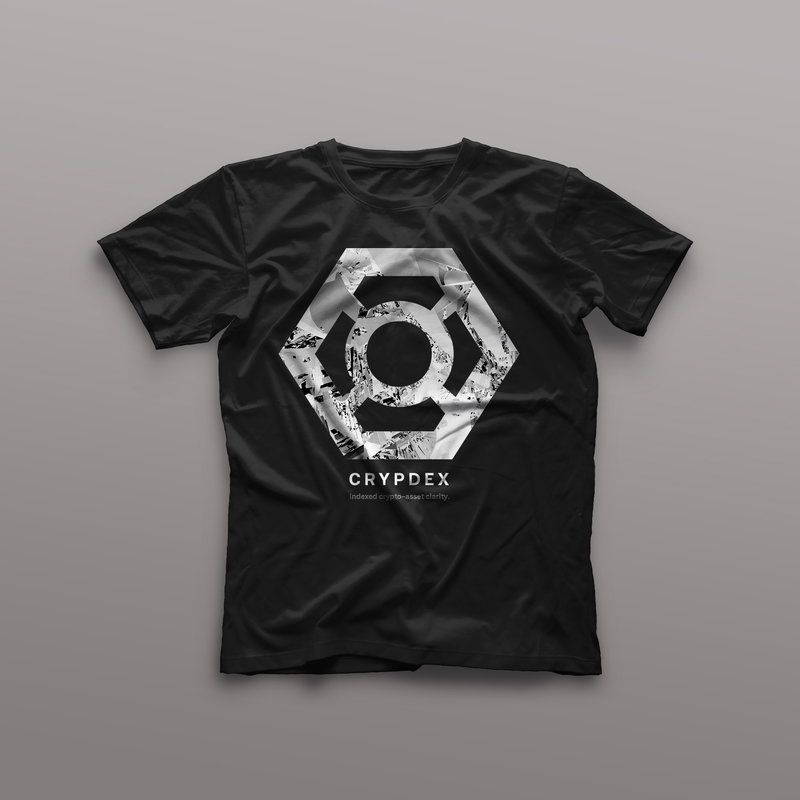 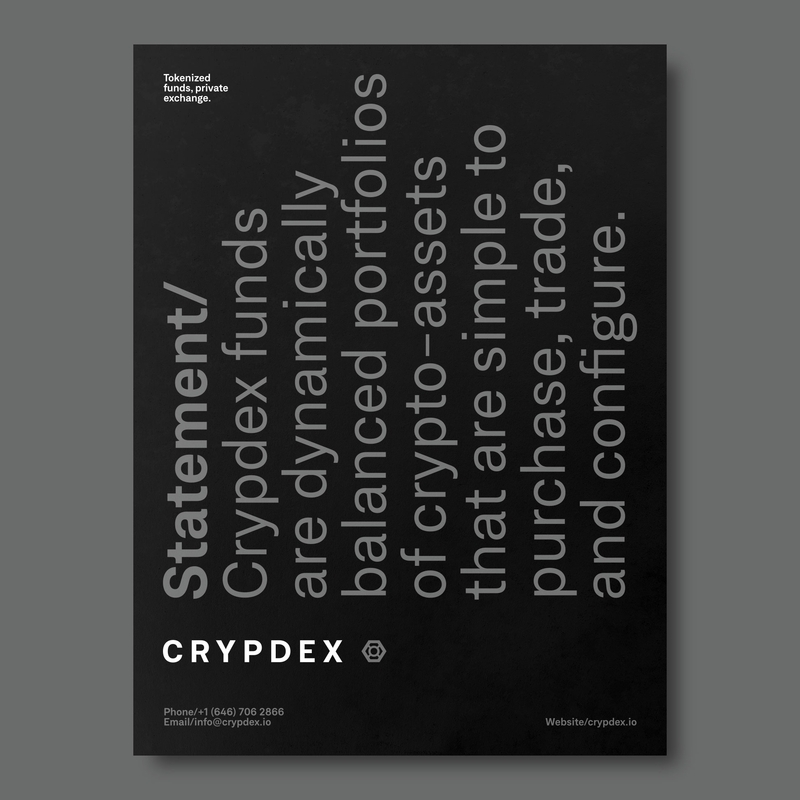 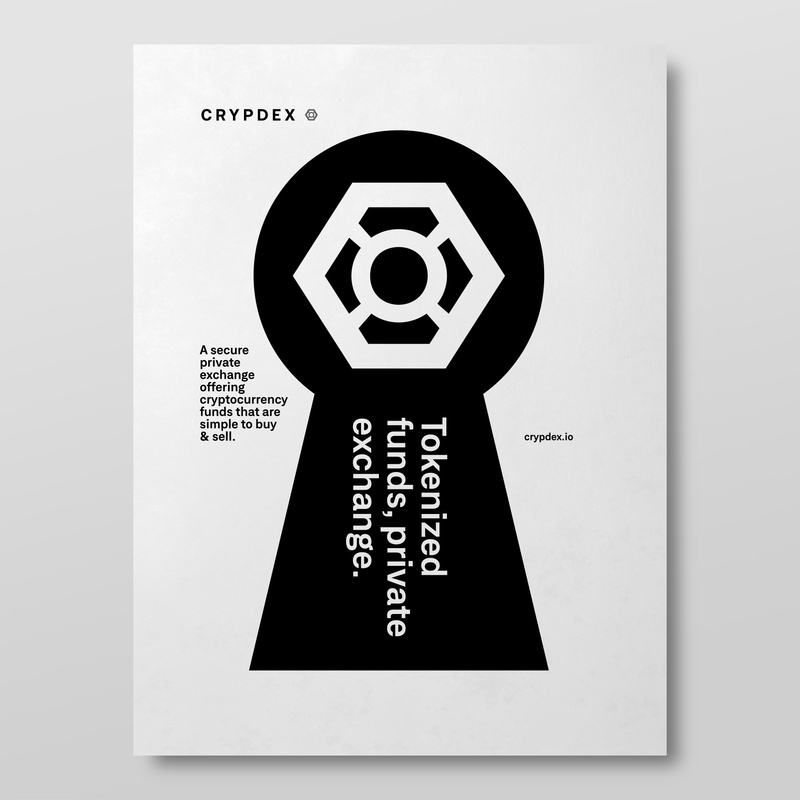 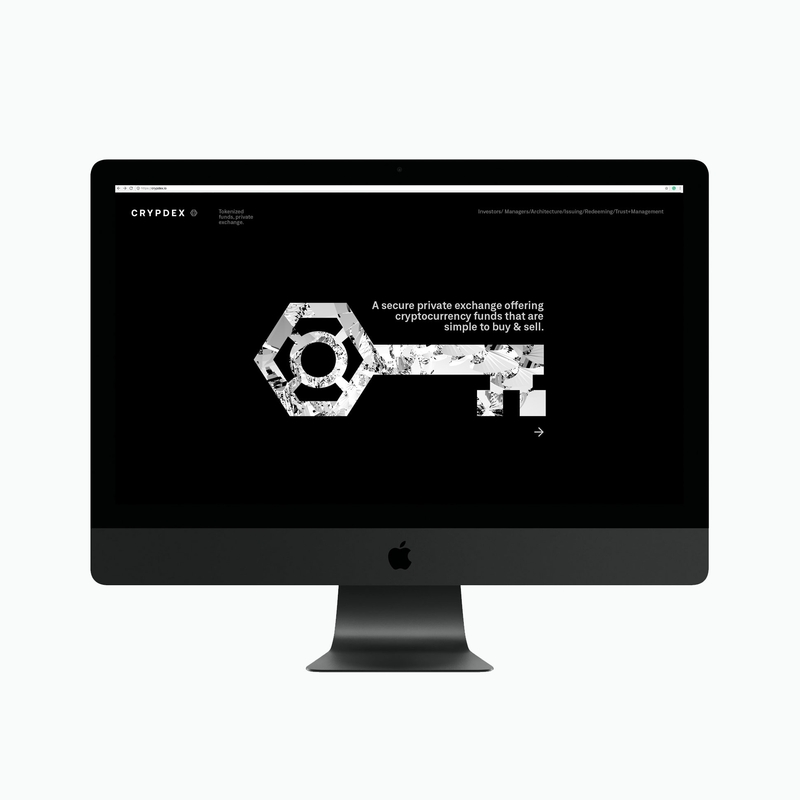 An entrepreneur in the red hot cryptocurrency sector based in Manhattan approached us to develop the identity, brand, and aid in the positioning and messaging for a soon-to-be launched crypto-asset management company called Crypdex. 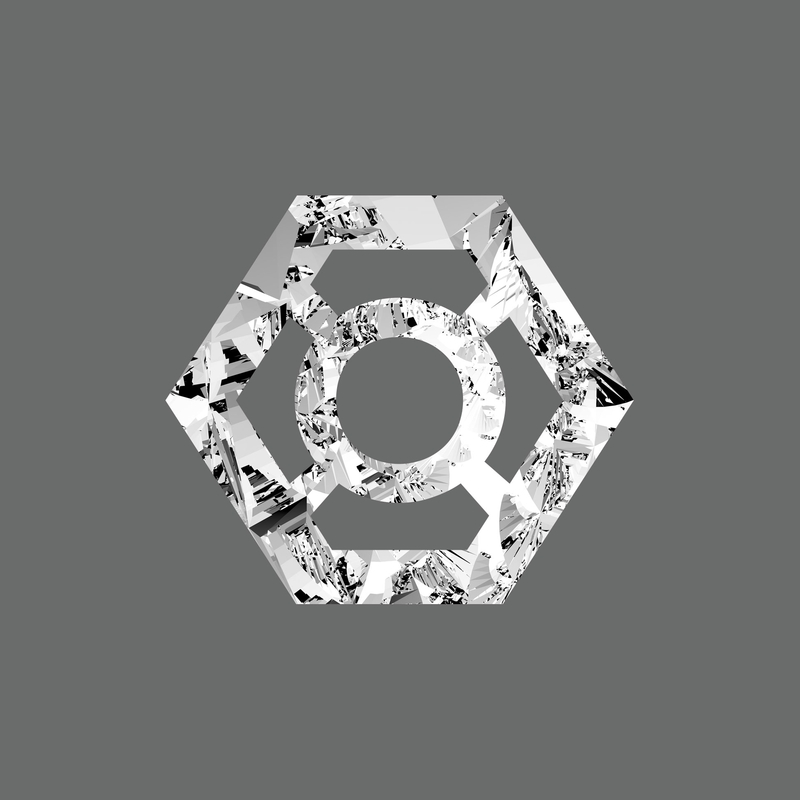 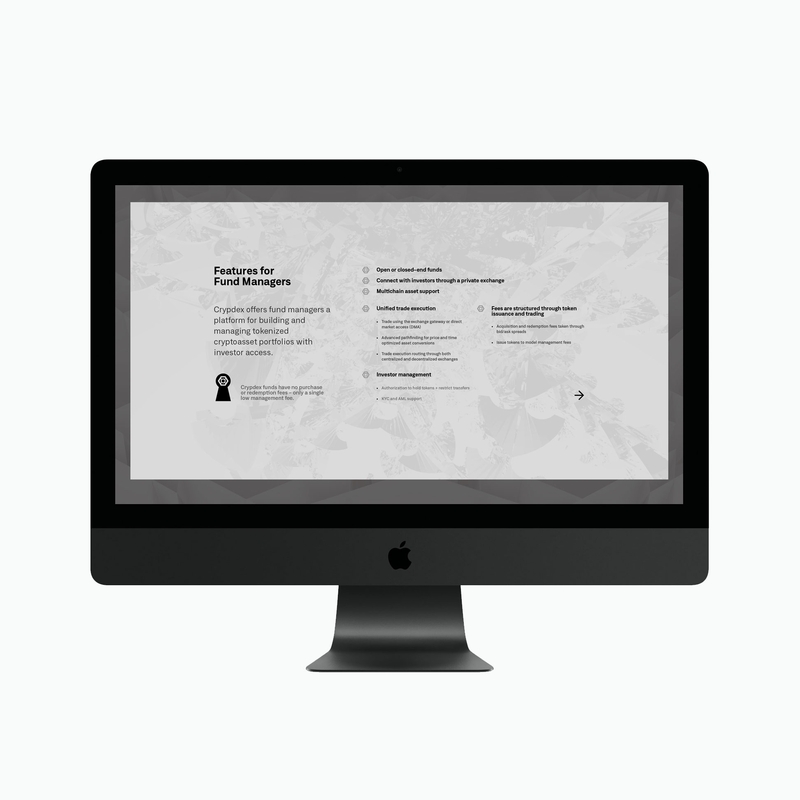 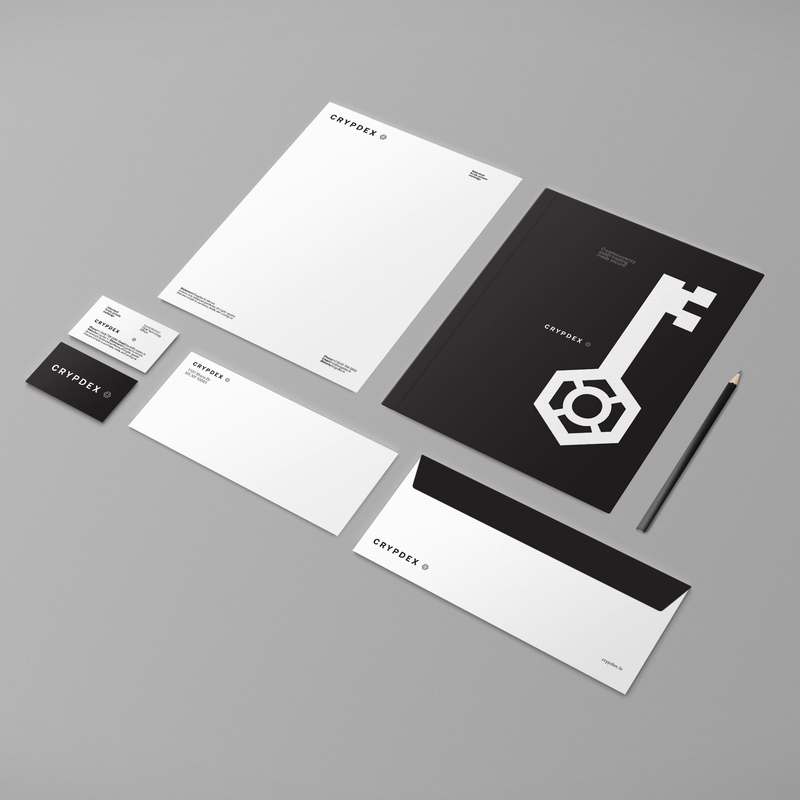 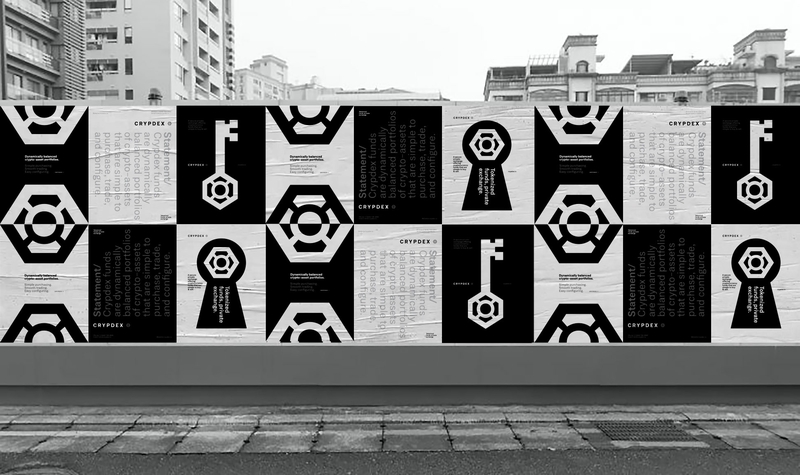 The effort involved a full-spectrum approach from the creation of the core identity through print and digital deployment. 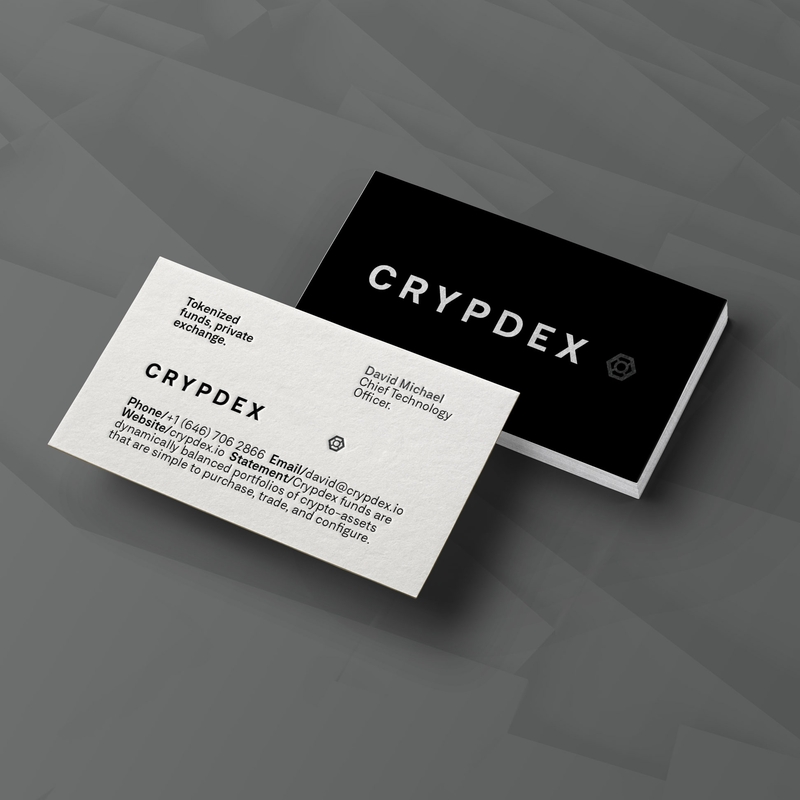 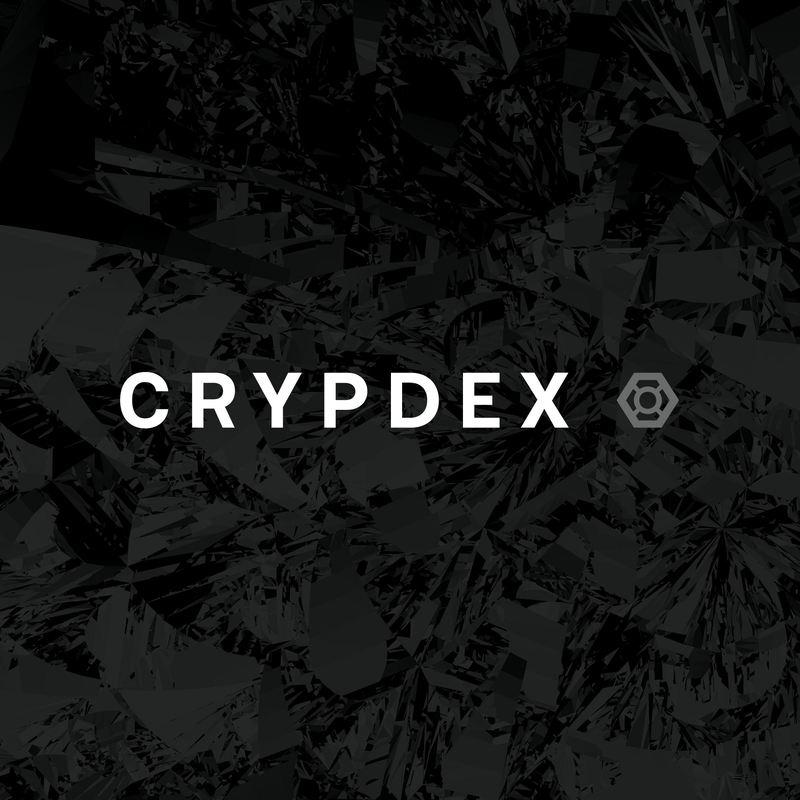 The founders of Crypdex wished for something crystal clear, totally confident, and bordering on luxury. 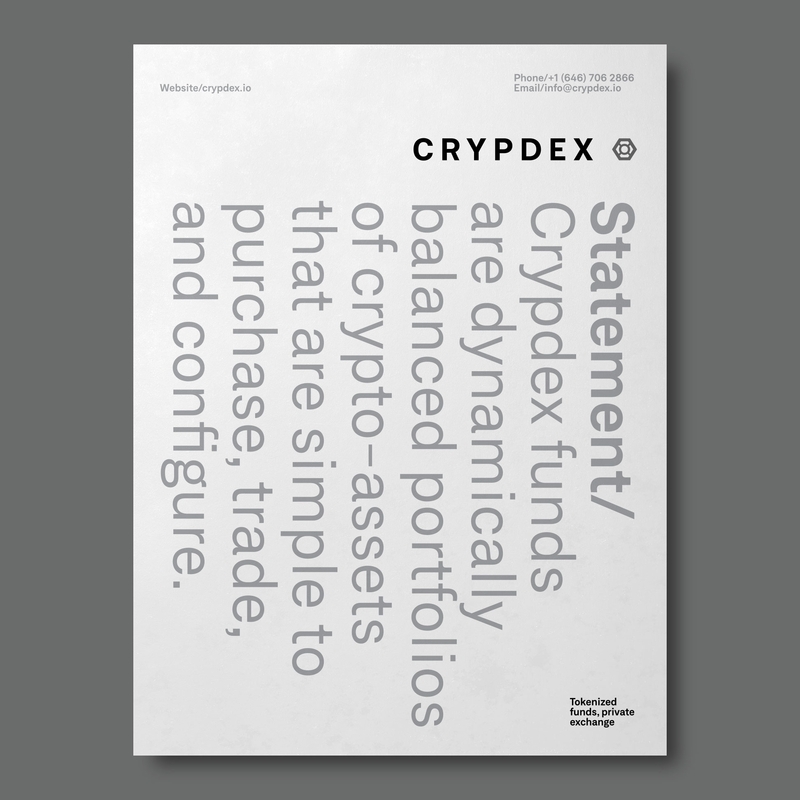 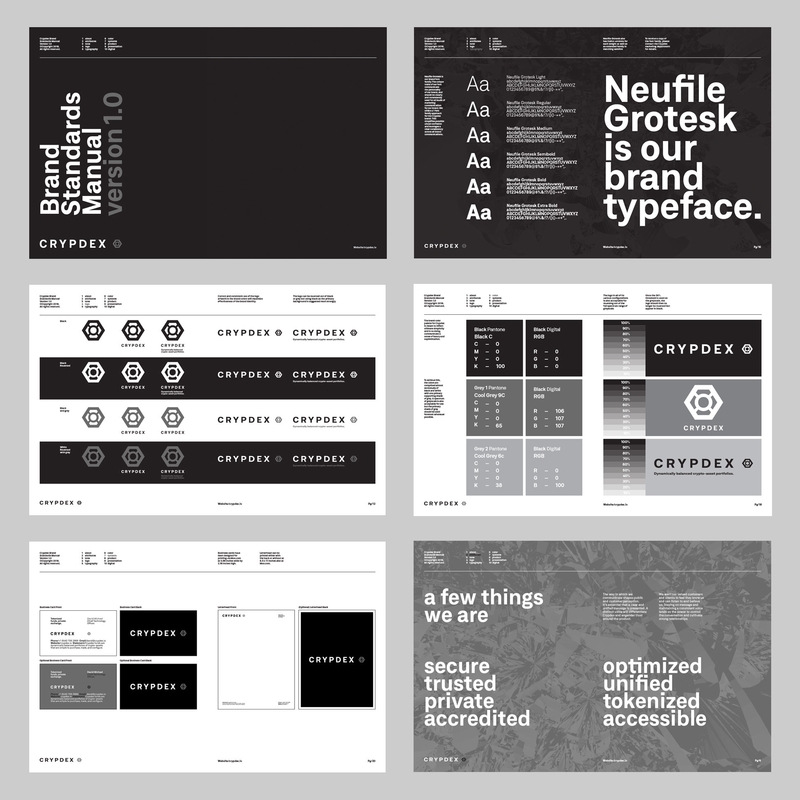 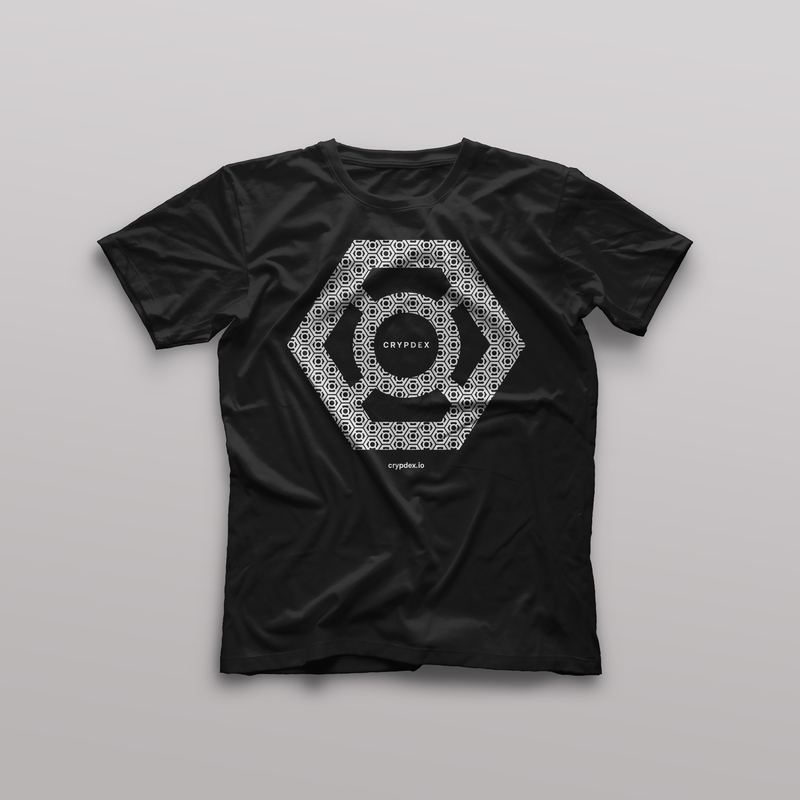 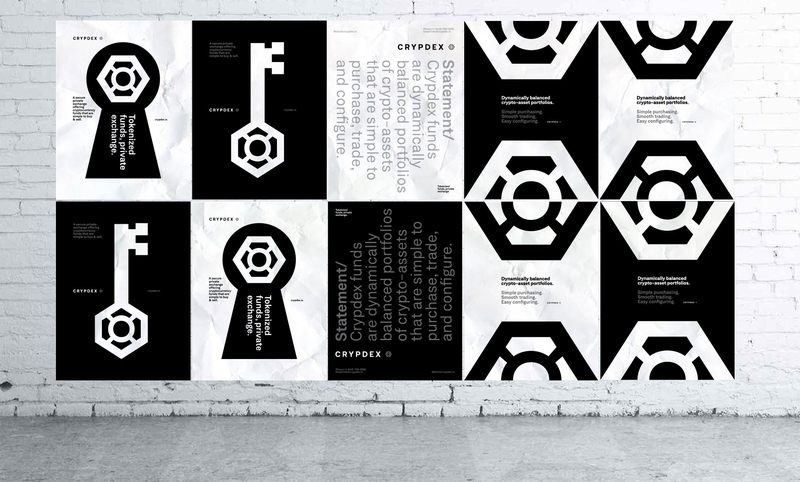 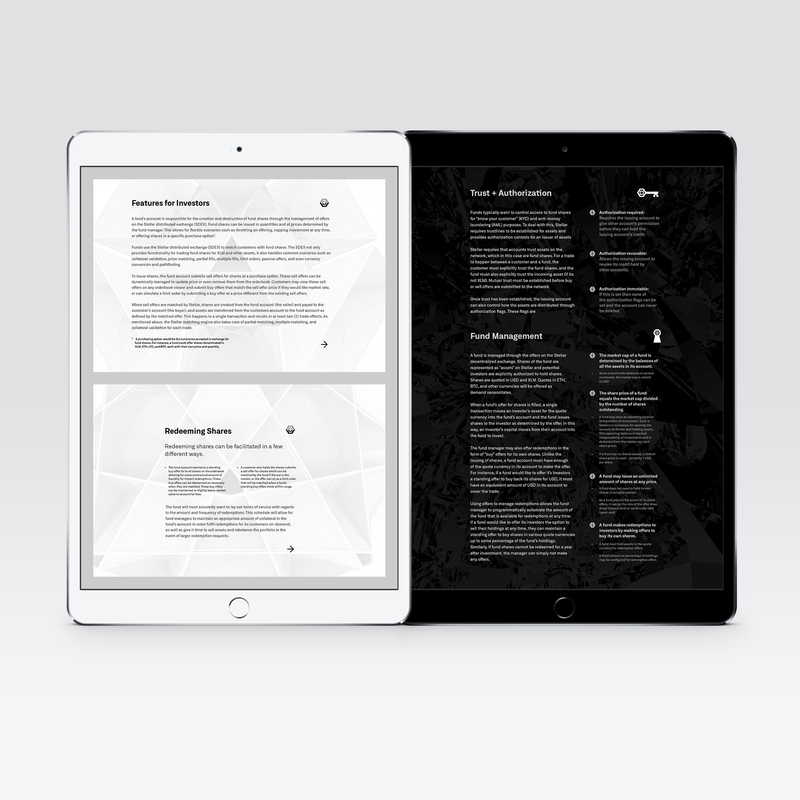 The choice to use a black and white color palette fell right in line with this desire and made for a sharp and timeless brand for a new and sometimes difficult to understand sector of technology and finance.